You might have noticed the flurry of movement in April and May as companies finalized compliance with Europe’s General Data Protection Regulations (GDPR). LabVantage also ensured that the LabVantage LIMS platform was compliant (along with our own internal systems and workflows). 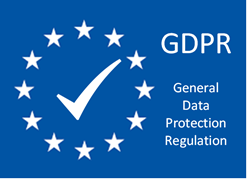 The EU General Data Protection Regulation (GDPR) replaces the Data Protection Directive 95/46/EC and was designed to harmonize data privacy laws across Europe, to protect and empower the data privacy of all EU citizens, and to reshape the way organizations across the region approach data privacy. GDPR went into effect in the European Union on May 25, 2018. What Does GDPR Mean For LabVantage Customers? LabVantage is committed to compliance with GDPR in protecting both your data and your privacy. For this purpose, we’ve made some updates to our Privacy Policies to make it transparent for you to understand what information we collect, why we collect it, and how we use it. These changes have been made for all areas of the globe – not just Europe. In compliance with GDPR, we have or will be updating our public website and marketing and sales systems to fully comply with any opt-in or opt-out procedures, as well as handling requests for the right to be forgotten, and any additional regulations that might be required. Although LabVantage does not host customer production laboratory systems, the security and privacy of customer data that might be encountered during our Support and Professional Services engagements is critically important to both you as a customer and to LabVantage. Receiving data used for migration or system testing. As with other regulations – for example, GMPs, 21 CFR 11, Annex 11, etc. – LabVantage understands it is important to deliver products that are powerful, efficient, and make our customer’s compliance easy and defendable. Therefore, our next release – LabVantage 8.4 targeted for early 2019 – will deliver a customer solution to ensure compliance with GDPR. Until that version is formally released, however, our LabVantage Support department will be available to assist customers with special tasks related to GDPR. LabVantage & GDPR: What’s Next? How to opt-in to (or opt-out from) LabVantage emails. Updates to existing maintenance contracts for GDPR conformance. Finally, if any LabVantage customer has questions about meeting GDPR, you can always contact us at lvsinfo@labvantage.com.